Ultra-luxury is now ultra personalized. 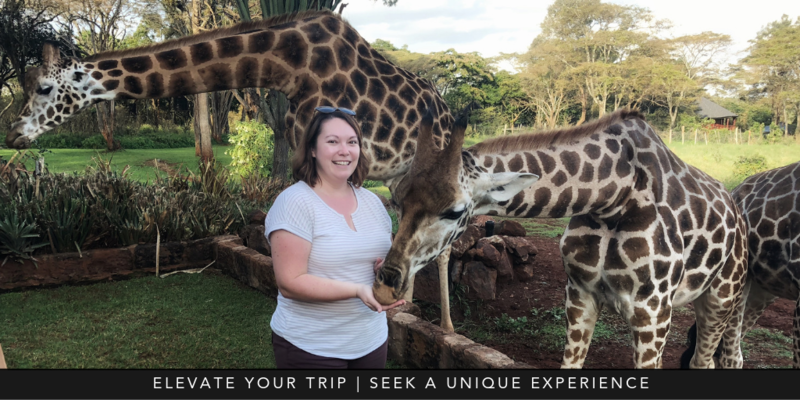 Our travel industry partnerships and our team’s signature intuitive creativity work together every day to design unique and curated experiences for our clients. Don’t Be Shy: Booking with Ourisman Travel means automatic VIP status. So why not request the little things that will make your booking more comfortable. What helps you feel at home in a hotel room? Do you have a favorite scent, late-night snack, or preference for certain firmness of pillow? Tell us! You may not realize just how important this simple information can be and it often leads to some creative thinking from our team and our partners. By letting us know of an anniversary, job promotion celebration, or even a baby-moon, you are helping us elevate your stay with celebration-oriented gifts and amenities! Luxury is personal, so let us get to know you! Ride in Style: A simple concierge request to be picked up from the airport in a luxury vehicle is a basic utility. But we like to think outside the box and turn a mundane transfer into a highlight of the entire trip. 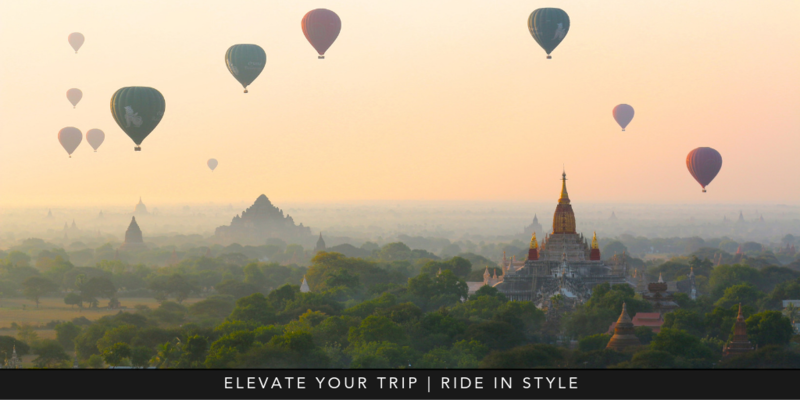 How about arriving in a helicopter, speedboat, yacht, or hot air balloon? You can even make an entrance by sky-diving! The arrival, is only the beginning. Sometimes, the journey itself is the highlight. Carve your way through the Pacific Northwest and Canadian Rockies onboard the world-renowned Rocky Mountaineer Train, float above exotic landscapes in a hot-air balloon, or take a horseback safari through the African bush, galloping from camp to camp. Elaborate transportation is a sure-fire way to plan a trip that you will never forget! Seek a Unique Experience: Yes, a five star hotel option is an experience within itself, but take your travel plans to the next level and set out a day of intention. Schedule a private early morning museum tour before the doors open. Watch sumo wrestling in Japan and pair it with a dinner eating Nabe, the traditional stew wrestlers eat. Or, receive a sloppy kiss from a giraffe! Not many people get to brag they met face-to-face with a giraffe. Pick Up A Hobby: Have you ever wanted to test out your photography skills? Why not pick up a photography class during your stay in a new destination! We can help you find classes that will bring out that inner photographer. Speaking of photography, if you want breathtaking photos of your adventures, but don’t want to be the one behind the lens, we can set you up with a professional photographer for a photoshoot on location so you can go home with amazing photographic memories from your trip. When it comes to learning something new while traveling the world, the opportunities are endless. In addition to cooking and photography, we also help our clients learn new skills like painting, pottery, wine-making, clothing design, horseback riding, or learning a new sport. All about the flavor: If you are a foodie, travel is the perfect time to awaken your taste buds. Learn about unique local ingredients and preparations with a market tour; take your shopping spoils to the kitchen to try your hand and making some local favorites. 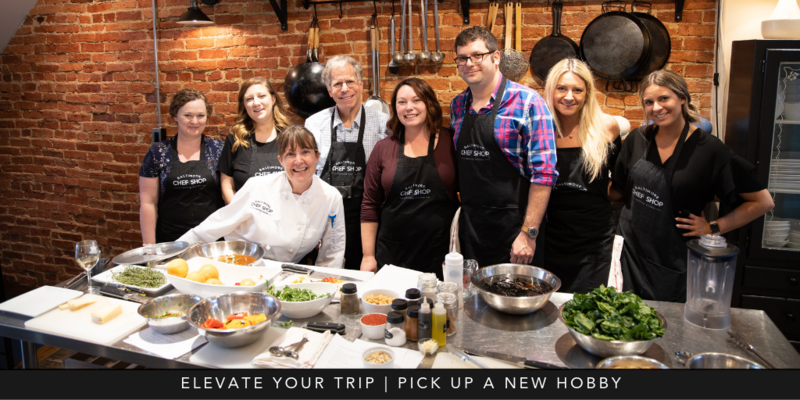 A cooking class with a renowned chef can be fun and educational while also giving you the opportunity to extend your trip once you return home by recreating your favorite dishes long after the trip has ended. If you don’t want to get hands on in the kitchen, we know the real indulgence is often in the tasting, not the cooking! This is when we recommend a progressive dining tour or a street food tasting tour. Visit a famous hawker center in Singapore with a local who can tell you exactly where to go for the best chicken rice, or follow your stomach through the many vibrant neighborhoods of Mexico City on a taco tasting tour. The possibilities (and flavors) are endless. Looking for something really special? We can help with restaurant recommendations for some of the most celebrated restaurants around the world. Express yourself: Pick up an art class in Rome and draw the Spanish Steps, or walk the footsteps of some of Mexico’s most revered artists including Frida Kahlo. Perhaps you’d rather express yourself through movement and a tango class in Argentina or flamenco in Spain is more your style? The new cruise line Virgin Voyages even offers Squid Ink tattoos from famous tattoo artists, so you can express yourself and come home with a life long souvenir. The possibilities are endless! Create Life in Balance: Whatever your intention, we can help you discover an array of mindfulness-based activities to open your eyes, mind and heart. Practice yoga atop the mountain peaks of Peru or in the vineyards of Napa Valley, meditate in the desert or on the shores of a serene pond, or try something new like equine therapy. By nourishing your curiosity, you leave no room for regret. Celebrate opportunities to embrace new destinations and new experiences and treat yourself to new luxuries along the way! Take time to be with family and friends, find space for your wellbeing on adventures to remember, in places you’ve never been, revealing depths you didn’t know existed. Let us elevate your travel experience and you’ll never wonder what could have been. 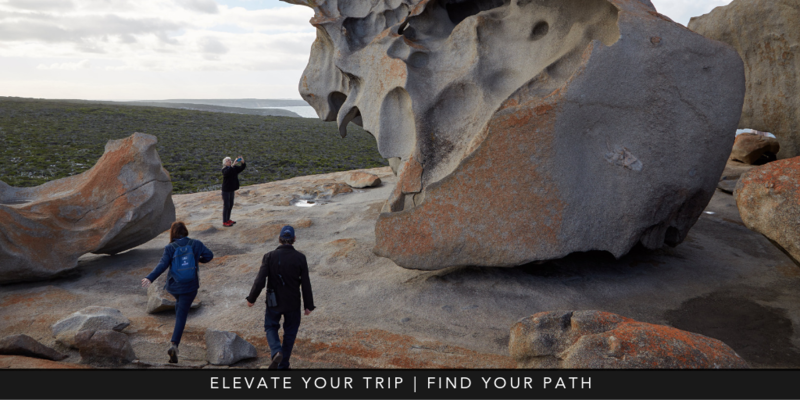 Find Your Path: Trek to lost temples, snorkel coral reefs or live like a local. Tours are often a great way to discover culture and experience. With our resources, you can experience private tours in the ruins of Jordan, walk the streets of Colonial Mexico City with a local so you can see the spaces people often miss out on. Seas The Day: When you’re traveling to a coastal region, the best views are often on the water looking back in. You’ll gain a whole new perspective of your destination and be rewarded with unique skyline and landscape views. We can help you coordinate a sailing or speedboat excursion in some of the best destinations around the world. Think sunsets in Santorini, incredible rock formations in Los Cabos, or a day trip to Capri in Italy. The world is your oyster, so why not test out your sea legs on a private yacht! Recover: Re-entry into the real world after an amazing vacation, can be rough and the least celebrated luxury is often time itself. To really pamper yourself, try scheduling for recovery time when you get home. Sometimes jet lag alone is enough to keep you in bed for the day, but there is also an added benefit to allowing yourself some time to unpack, do laundry, and relish in your recent travel experience by taking a moment to reflect and organize your travel photos. This entry was posted in Travel Industry and Ourisman Travel and tagged Luxury Travel, Virtuoso. Bookmark the permalink.